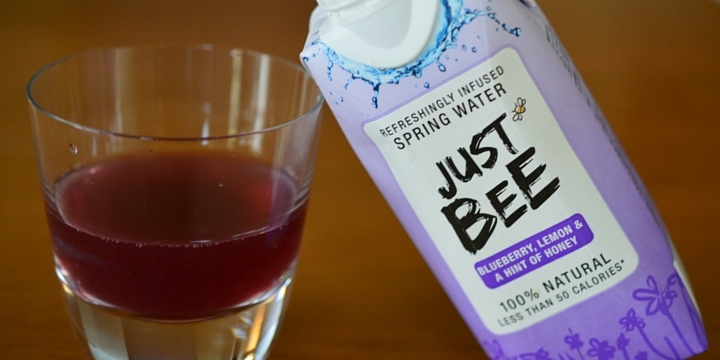 Bee-friendly beverage discovered in Selfridges! Some say that there is no such thing as an original thought anymore, so I love it when something truly original arrives on the shelves and Just Bee is one of those products. Rewind a few weeks back and I attended an event at Selfridges Food Hall in Manchester’s Trafford Centre. Called Meet The Maker, it was a chance to check out producers who were new to the food hall, as well as those more established companies who call the place home. There were many great producers there and it was great to talk to them about their work and their products. Then, just as I was about to leave I spied the chap from Just Bee and had to know more. 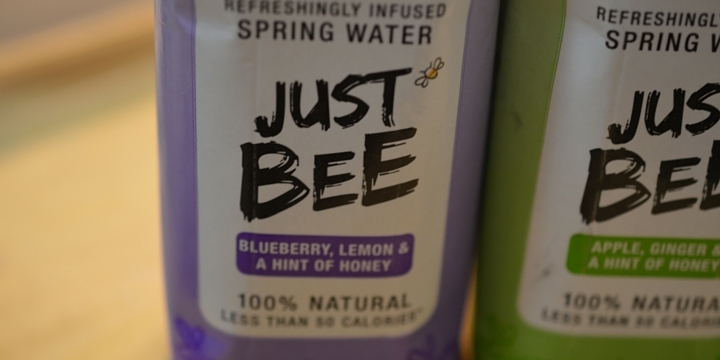 Just Bee is a line of flavoured spring water which is sweetened with honey. Blueberry and lemon was my favourite – owner Andy hit the nail on the head when he said it tasted like Refreshers! Apple and ginger was really refreshing, just like biting into an apple. The final flavour in the line is lemon and green tea. Not my cup of tea but then me and green tea have yet to be friends. Now, here comes the science bit! Just Bee is a very new company, it was only created earlier this year. Set up in Manchester by friends Andy and Joe, the pair were inspired to work with honey by Joe’s dad who has hives in his Lancashire garden. They use his honey in the drinks and even donate some of the profits back into charity to help beleaguered British bees. Given the short time they’ve been trading it’s a testament to the quality of the product that they’ve already got listings at places like Selfridges. It’s currently for sale in 330ml Tetra packs so I think people who want something refreshing after a workout would love this (because let’s be honest, coconut water tastes crap). It also breaks up the monotony of drinking water all day and I would have one happily knowing that it wasn’t filling me with empty calories and sugar like fizzy drinks do. It is, apparently National Honey Week so it seemed a good time to share this gem of a company. You can find them in Selfridges and Fortnums apparently and the website is full of sweet honey. Now to work out if I can bake with it somehow….